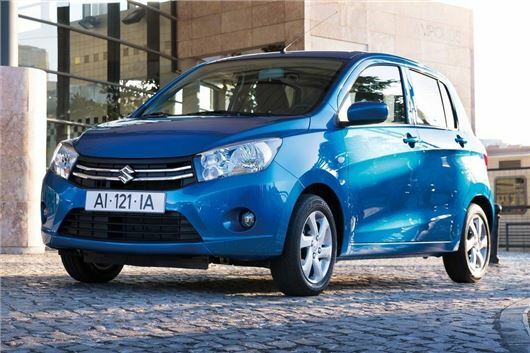 Suzuki has announced that its new small car – the Celerio – will be on sale in the UK from February 2014. Prices are not yet confirmed, but expect to pay around £7500 for the Volkswagen Up rival. Standard gear on UK cars will include traction control, six airbags, air conditioning, alloy wheels, DAB radio, USB connectivity and Bluetooth. Initially the Celerio will be offered with a 1.0-litre petrol engine which produces 99g/km of CO2 and manages official economy of 65.7mpg. This will later be joined by a more efficient DualJet petrol engine with lower emissions of 84g/km. This engine is due in Summer 2015, along with an automated manual transmission called ASG. Suzuki promises this offers the efficiency of a manual transmission with the ease-of-use of an automatic.